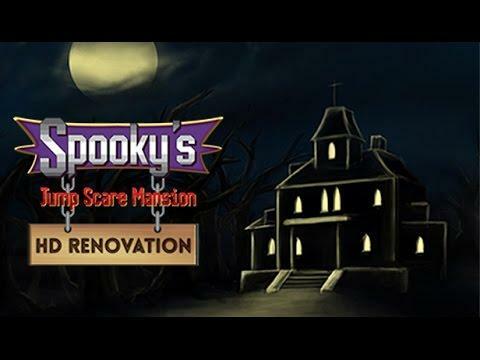 The developers Spooky's Jump Scare Mansion: HD Renovation [Steam] have stated that Linux support is still coming and it looks like it could be soon. They recently launched the revamp and they stated in the announcement that once major issues have been sorted, they will be moving onto sorting out the Linux & Mac versions. It has a positive rating on Steam as far as reviews go, with people noting how spooky it really gets the further you go. I'm eager to give it a go, as I'm a little unsure on what type of game it actually is. It sounds like a mix between horror and a dungeon crawler, which sounds fun. Spooky and her mansion of creepy cuties are back in Spooky's Jump Scare Mansion: HD Renovation! Can you survive 1000 rooms of adorable terror? Or will you break once the cute facade dissolves, and you find yourself running for your life from the unspeakable, hideous creatures that dwell and write in the bowels of this house? They wait for you. They wait, and they hunger for your encounter. . .
i loved this game, but it dont play well on windows 8 and dont play at all on linux. Finally i will be able to play it again and perhaps finish it this time. believe-me, it is scary as hell! elmapul i loved this game, but it dont play well on windows 8 and dont play at all on linux. This was most likely due to the original project using Game Maker (8 I believe), which has only the basics 3d implementation. with this new version based on Unity, more features are available. Let's hope this does not land in the broken promises bin. Ok, this is not from the same creator and its paid... WTF? i hope they have the authorization from the original creators to do it, and they do an good remake not an Crappy one. elmapul Ok, this is not from the same creator and its paid... WTF? It seems to still be the same team under a different name, as the update posts were done by the same person that did the post in the original, as well a being the Greenlight page owner for the two versions. I didn't know this game. 1. I've never heard of this. 2. I'm glad you told me about this. 3. I don't play "horror" games. 4. I'd play this game. Game:...Go in this dark room. Game:...Please, there are creepy noises inside. Me:.....No. In fact, I'm leaving. Game:...But, it's pouring rain outside. Game:...Your car is broken down, you need to find a phone to call for help. Me:.....I have two perfectly good legs. I'll walk. Game:...I'm pretty sure there's a phone in this dark room, though. And so on and --- to quote the late, great David Rakoff --- ad extreme projectile nauseam. Is there anything else to do than go from point a to point b? If there's not, then it's not for me.